We are glad for sobering roots that provide ballast in the storm. for their many stories of wonder, awe, and healing. for life and sense and wholeness. for you are the truth that contains all our spin. Amen. From Awed to Heaven, Rooted in Earth: Prayers of Walter Brueggemann. Prayed at the Lay School of the Pentateuch on September 17, 2001. And today, like Walter Brueggemann did ten years ago, most of us have reflected on 9/11. Among other things, I read two interesting articles comparing the ten-year anniversary of Pearl Harbor with our commemoration of today. One post was by Nate Everett and one was an L.A. Times editorial by Jon Wiener. It seems “the day which would live in infamy” was fairly bypassed on December 7, 1951. America was shivering into the Cold War, fighting Korea, allying with Japan, and didn’t have the time or the resolve to remember too much about Pearl Harbor. What is different today? We certainly have taken the time and resolve to remember. Today the memorial service in New York was somber, meaningful, and beautiful. The waterfalls–largest man-made waterfalls in North America–fall into emptiness, yet somehow fill the void. Our memories have remained strong. My students remembered 9/11 this year. However, this is the first year my students don’t really remember. They were just two or three or four on September 11, 2001. They have absorbed the ethos of 9/11 from their older siblings and parents. Shiann is a good example. She is a serious student of 9/11, an event that continues to mark her generation as it did her all-grown-up siblings before her. This weekend Shiann wrote two posts about it–here and here. We lost many things after 9/11. I want to remember, but I don’t want important things to be lost forever. …the resolve to make sense of spinning? …the ability to make allies of our enemies? I pray we have not lost these. 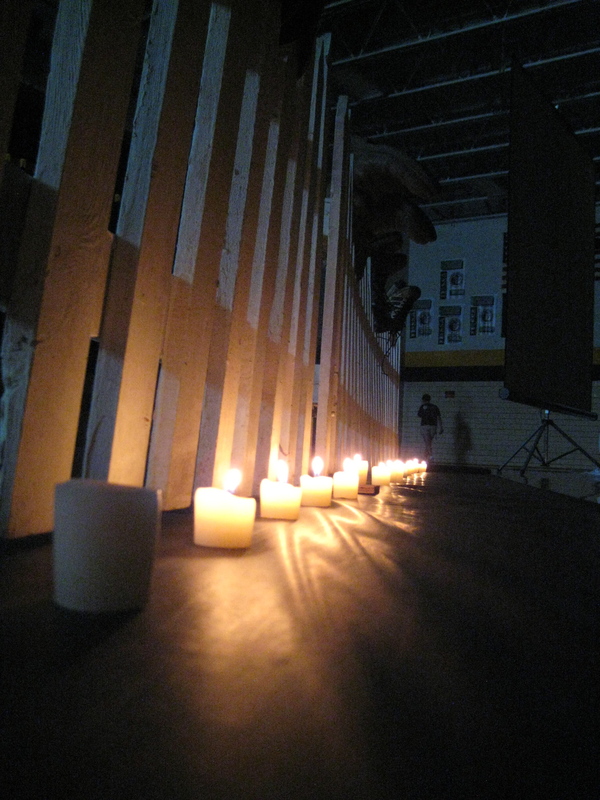 Each candle across the gym represented 60 people who lost their lives on 9/11. I'm the chief learner in life's adventure. Pearl Harbor was on Dec. 7, 1941——not 1951. Yes, Cheryl, I realize that. That’s why the ten-year anniversary would have been on December 7, 1951. Thanks for reading my blog post. Your post is a beautiful tribute and reflection to 9/11. I appreciate your including the poem, the remembrance ceremony, the time to reflect, and the understanding from Shiann. Shiann’s posts are very powerful. What my mind keeps wandering to is the comparison of times. I’m pretty sure I first heard about Pearl Harbor in a Social Studies class in school. Yet my husband heard about it his whole life. He’s 3rd generation Japanese-American and the war had a huge impact on their lives. So what I’m wondering is if that was because, as you pointed out, there was the Korean War and the fears of the Cold War? Was it because my father’s side of the family is Jewish, so I grew up hearing about that aspect of the war? I’ll have to process it more, but I’ve never considered the other wars thereafter as part of equation. 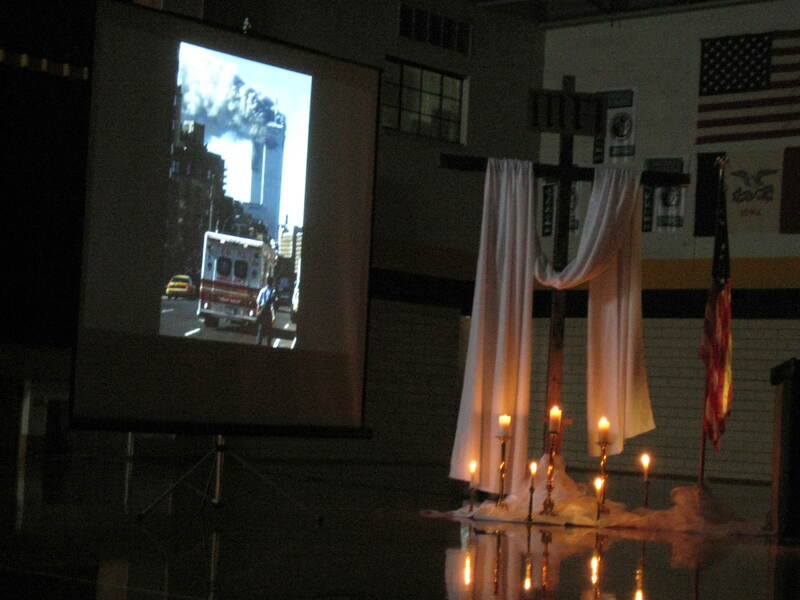 Thank you for leaving me with something to ponder, and a beautiful tribute of remembrance to those lost on 9/11. This is such a powerful and thoughtful post. I find myself still thinking about it, and have resolution in my heart and brain. — The sign of a great post, when it grabs both. After much reflection, I am in awe of how incredibly deep and compassionate… and am focused on the call for hope, forgiveness, kindness, and peace. Thanks for helping me process this. Wow, thank you for challenging me, too, Tracy. I have been thinking about your first comment over the last few days pondering your and your husband’s backgrounds and how they influenced the way you both learned history of WWII. We are so influenced by our families, and so I’ve been wondering about this generation and how their families are shaping and influencing them about our modern wars. Thank you so much for coming back and sharing your thinking with me. I’m humbled. Dare to Care is about passionate learning. As the chief learner in life’s adventure, I share bits and pieces of that journey here. Lately I’ve been writing about politics, faith, education, connections, and life lessons. By day, I construct, create, communicate, collaborate, and think critically with my sweet grade 5 English learner students. 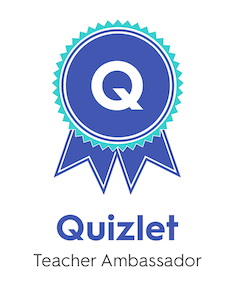 Visit Krebs' Class Blog for my students' work.